Protected by Design Patent D602705 and D613957. On modular pieces, striped and patterned fabrics are not recommended for cushions because they may not align. Optional panels are not available. Cabana Club Modular pieces can be easily assembled in a variety of ways to create multiple different seating arrangements and space solutions. 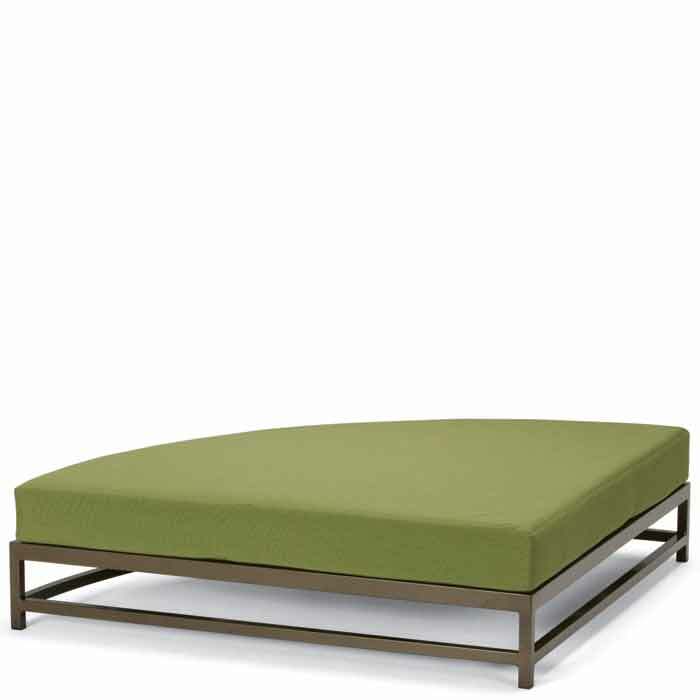 Contemporary in style, this Cabana Club Party Lounger Quarter Section features an aluminum frame and a plethora of complementary fabrics for cushions for optimum comfort. This Cabana Club Party Lounger features an aluminum frame and a plethora of complementary fabrics for cushions for optimum comfort.